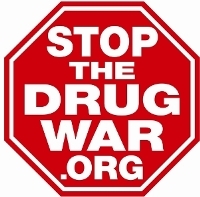 Please make a tax-deductible 2015 donation supporting Drug War Chronicle! Is it possible that the walls will crumble even faster than we think? Troy Goode was under the influence of LSD when he was arrested and hogtied by police. The offically autopsy says the acid killed him. That's extremely unlikely. Law enforcement seized more than $4.5 million in civil asset forfeiture last year. Burglars took only $3.9 million. The year's drug war death toll has climbed to 54 after five more people, including one unarmed man, were killed by police in the past month. A patient sues the Border Patrol over harassment at checkpoints, Minnesota expands its program to include chronic pain, a New Hampshire patient wins permission to seek medical marijuana next door in Maine, and more. A Border Patrol agent gets caught with a trunk load of cocaine, a California narc was working for the other side, a whole bunch of jail and prison guards go bad, and more. Alaska is set to become the first state to allow social on-premises marijuana consumption, sentencing reform advances in Congress, China bans new synthetics, and more. The problems with the DEA's confidential informant program never seem to end, the Eastern Cherokee are fighting over marijuana policy, Dutch cities want licensed growers -- not crooks -- providing marijuana, an Indian state becomes the first to allow hemp cultivation, and more. A Mississippi medical examiner is claiming Troy Goode died of "LSD intoxication," the Massachusetts legalization initiative hands in signatures, the North Dakota medical marijuana initiative starts signature gathering, and more. The Postal Service has warned newspapers in the Pacific Northwest that carrying pot business ads could violate federal law, a New Mexico medical marijuana patient is suing the Border Patrol over access to his medicine, Minnesota has approved medical marijuana for chronic pain patients, and more. The drug czar IDs heroin and opiate overdoses as his top priority, Bay State Repeal fails to get enough signatures, Massachusetts voters appear ready to support serious sentencing refoms, and more. Oregon's cannabis cafes face a bleak future after running afoul of the state's anti-smoking laws, a no-smoking Florida medical marijuana bill advances, a huge medical marijuana crop grows in Chile, and more. Canada reiterates its intent to legalize pot, there's strong support for expanding medical marijuana in Georgia, the GAO reports that federal drug policy goals are not being met, and more.